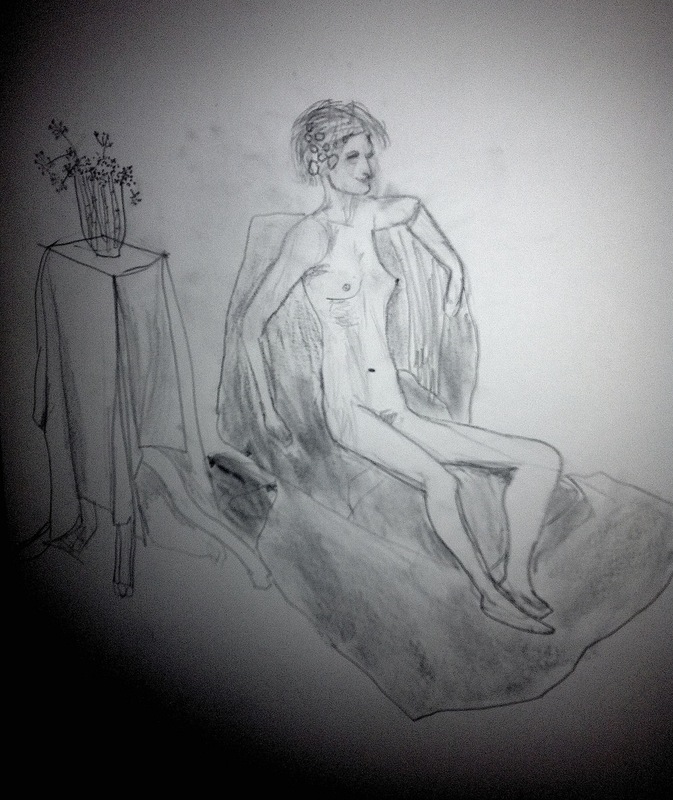 Life Class.. A Midsummer Night's Dream! This week, we took Shakespeare's 'a midsummer night's dream' as the theme for the class. Our model Esther was Titania, queen of the fairies. She assumed quick dancing poses, inspired by William Blake's beautiful drawing of Oberon, Titania and fairies dancing. For the long pose, she lay down, playing Titania about to fall in love with Bottom, a character with the head of a donkey! 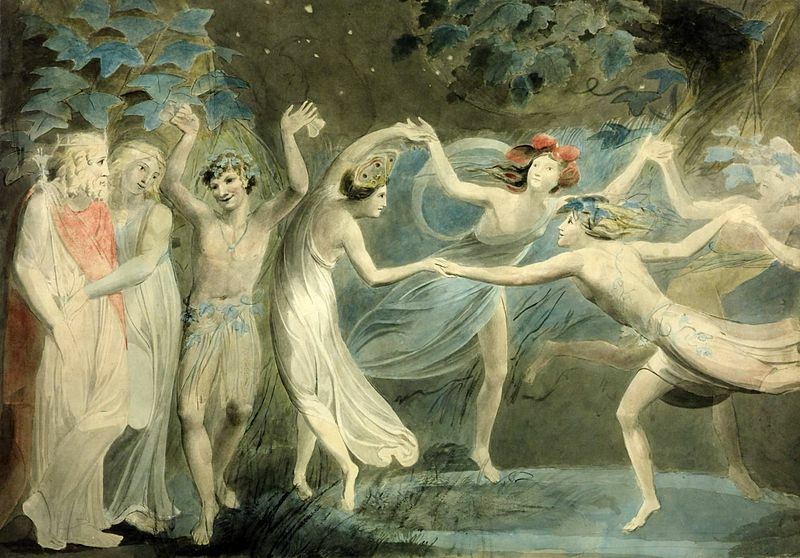 William Blake, Oberon, Titania and Puck with fairies dancing. 1776 Graphite and watercolour.